The title of this article asks an interesting and important question. Before we can answer the question of whatever happened to civics, I believe it is necessary to have a basic understanding of the definition of civics and its role in civilization. Wikipedia describes civics as the study of theoretical and practical aspects of citizenship, its rights and duties, and the duties of citizens to each other as members of a political body and to the government. With this working definition of civics provided, we can move forward and begin to answer the topic question. There are many culprits responsible for the decline in civics and citizen participation in the myriad civic duties. One reason is the growing disdain of politics, politicians and the direction our country is headed because of the activities in our nation’s capitol. A majority of the citizens disapprove of the president, members of the Senate and members of Congress. This disapproval adds to the resistance to civic participation because of a feeling of hopelessness. The low approval ratings of our politicians and other negative feelings about the direction of our country continue to repel citizens of all ages, especially the younger generations who in large part want a smaller government and more liberties. Now the question that we must present to our government leaders, business leaders, administrators, teachers, scholars and academics is twofold. Can civics and citizenship get back to a level that it once held and how do we refocus on teaching tomorrow’s great citizens and leaders? Absolutely! Our country can regain the level of civics and citizenship that I experienced growing up in the 1980s. Regaining this level of civics and citizenship will require work from many different groups of society—such as government officials, academics and business leaders—to achieve previous levels. Government officials must stop the elementary school antics of blaming the other side of aisle every time they can’t completely agree on every piece of legislation. Government officials and politicians must show bipartisanship and sincere efforts to address the many issues facing our country. These examples of working together by a group in our society who is infamously known for not working together can send a great message to the citizens and has the potential to inspire a civic revolution and increase citizenship. Government officials, politicians, business leaders, academics and scholars can reinvigorate the citizens’ belief in the direction our country is headed and by extension increase civics across the country. They could benefit from a refresher course in civics and citizenship so that they can convey the importance of civic duty and citizenship to the younger generations which can result in them becoming the future leaders of our country. The academics and scholars can begin to teach the theoretical concepts and practical applications about civics to students nationwide. Leadership training can be incorporated into the civics education to begin building the academic and practical foundation that future leaders will require to actively participate in multiple civic duties to become productive citizens. Academics and scholars must focus on key theories necessary to teach citizens and leaders of tomorrow. They must also come up with methods to teach students about civics and leadership that will keep them interested in these topics and will motivate them to apply the theories they have learned about civics and leadership into real life practical situations. Emphasizing the theories and practical applications to students in high school and in undergraduate programs is an essential part of revitalizing civic responsibility and citizenship is one way to address this issue. A second approach is to introduce basic civic and citizenship curriculum into our elementary and middle schools throughout our country and begin building the foundation of civics and citizenship with the younger generation and they can continue to build upon this foundation when they enter secondary and undergraduate programs. 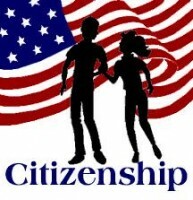 Within academic institutions, administrators and scholars at all levels must devise a plan to introduce and emphasize the importance of civics and citizenship to their students in a manner that will motivate them to continue learning about civics and citizenship. The theory behind this is that learning civics and citizenship at an early age will continue to be reinforced throughout secondary and undergraduate schooling that will provide opportunities for the students to develop civic duties that can benefit the entire community. Setting good examples for younger generations to follow will serve to recruit these members of the community to get involved in civic duties. The idea of seeing the fruits of their labors through civic duties and citizenship will compliment their efforts and continue to push them into a long spanning career in civic duty and citizenship. Author: Jeffrey R Zimmerman is a public policy and administration doctoral candidate at Walden University who is currently working on his dissertation titled, “The Impact of Supervisor-Subordinate Exchange on State Government Employees.” He is also the acting director for processing services within the North Carolina Division of Motor Vehicles. Zimmerman can be reached via email at [email protected] or [email protected].